The tech industry needs to rid itself of its "pizza-guzzling nerd" image to attract more girls into the profession, according to a leading woman in the sector. Speaking at Advertising Week, Belinda Parmar, chief executive of Lady Geek, said: "The perception of someone who works in technology is a pizza-guzzling nerd who cannot get a girlfriend. That is prevalent in our secondary schools." At the session titled, ‘Why women really rule the tech world’, Parmar pointed to the fact that only 245 girls took an A-Level in computing, compared with more than 5,000 who took Spanish. "There are some brilliant women in the industry, but there’s not enough of them and that’s the point. We want the next Mark Zuckerberg to be female," she added. 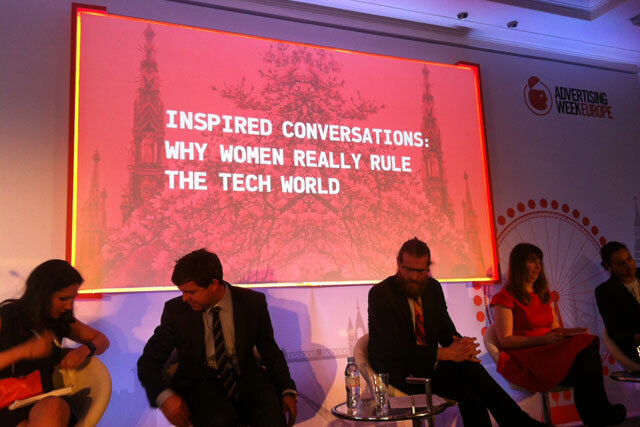 Marketing to women was also touched on during the panel debate, which included John Lewis' head of buying Johnathan Marsh. In terms of the John Lewis tech offering, Marsh said: "We don’t have a different approach to whether you’re male or female when you come and shop with us, it’s all about customer need and better understanding of individuals." He added that it was "our job to break things down and make them easy to translate and offer consumers what they want". Parmar also hit out at marketers who create pink products targeted at women, giving the example of a pink Pritt Stick. "What happened to normal Pritt Stick, what happened to Lego for everyone?," she asked. "We’re not advocating making everything overtly feminine, what we’re saying is don’t make assumptions about women."